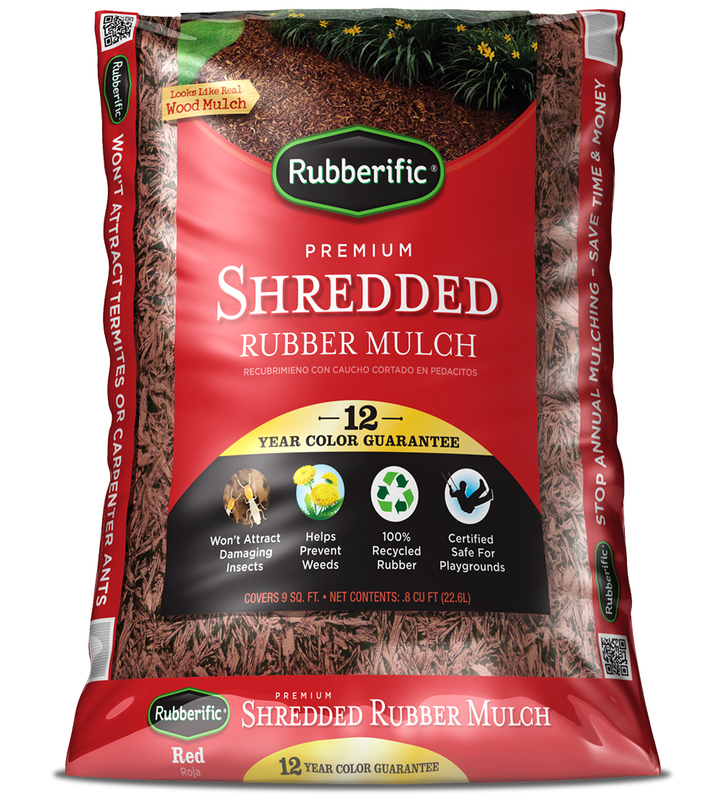 Premium shredded rubber mulch stands alone as the industry’s hallmark recycled rubber mulch. This realistically-textured groundcover looks identical to wood mulch and is made from 100% recycled rubber. Our premium shredded rubber mulch will not fade, rot, compress or lose its original beauty even after years of exposure to the elements. We don’t just say it, we guarantee it for 12 years! The gold standard in recycled rubber products and the brand that started it all. Known throughout North America as the brand that has consistently delivered quality, value and innovation for decades. Our brands of nugget rubber mulch are the perfect loose-fill nugget groundcovers for playgrounds and commercial landscaping. Simply put, not matter which brand you choose, you will have the safest playground surface on the market today with fall height ratings of up to 16 feet. With a 12-year color guarantee your children will stay safe, and your yard will look great for years to come.